of the Creatures)-composed by Professor Michele Caniato. poetry by Saint Francis of Assisi to premier the following evening. Maria sings Berlioz's La morte d'Ophelie and Debussy's Air de Lia. Maria co-hosts a trip to La Scala and more. premiere of this chamber opera. and Un bel di from Puccini's Madama Butterfly. Maria sings Brahm's Two Songs, Op. 91.
chamber emsemble by Professor Michele Caniato. Maria sings songs by DELBES, HAHN, KOESHLIN and MOMPOU. Maria sings Golijov's How Slow the Wind & Lua Descolorida. Maria sings Song to the Moon from Rusalka by Dvorak. in a holiday benefit performance for Jericho Road. bring to the role of Butterfly is something patrons will not want to miss. contributions of American composers and song writers. Brett Maguire, piano & Ben Sears, baritone, will join Maria. Selections to include Broadway and more. benefit performance for Jericho Road. A Special Spring Soprano Concert . . .
Maria presents Brown Bags for Kids Introduction to American Composers. Some American music, as on Friday, plus favorite Puccini opera arias from La Boheme, Madama Butterfly, Gianni Schicci, Tosca, Suor Angelica, with Maria Ferrante, soprano, Masako Yanagita violin and Abba Bogin piano. 8:00 PM-10:00 PM Conlon Building, Kent Recital Hall - Tickets: $20/general; $18/faculty, staff, seniors, groups; $7/FSC students & under 18. Reserved seating. Call the Weston Box Office at (978) 665-3347. Members of Mistral a New England chamber ensemble with a mixed instrumentation -will carry us away to a world of exquisite Italian music. Whether it is Rossini or Mozart, Italian vocal music is breathtakingly gorgeous. Soprano Maria Ferrante is passionate about her music and especially knows the language and culture of the Italian musical literature. Her bel canto style - literally meaning "beautiful singing" - is elegant and brilliant singing that is pleasing to the audience. Joining her on stage is the shimmering flute performance by Julia Scolnik, artistic director, and the brilliant artistry of pianist Randall Hodgkinson. This ensemble performs with excellence of style and the intimacy of a musical conversation. For more information, e-mail mdurling@fsc.edu or call 978-665-3709.
with The Enid Symphony Orchestra in Oklahoma! 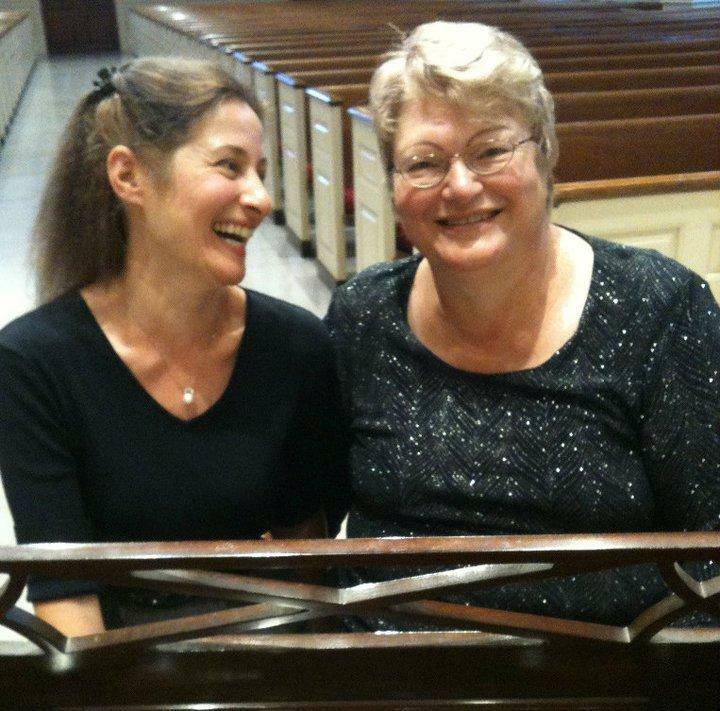 Maria Ferrante and Alys Terrien-Queen, piano performing in the LiveArts Series First Universalist Society, 262 Chestnut St., Franklin, MA. Best Kept Secrets: An Evening of Passionate American Song with Maria, Lincoln Mayorga, piano, and Steven Ledbetter, narrator. New England String Ensemble, Susan Davenny-Wyner, Dir. with the Worcester Chorus and Orchestra, Dr. Gerald Mack conductor. For ticket information call 1-800-999-UMAS or 1-413-545-2511 between 10am-6pm M-F.
9 Premiere Performance: Fire and Straw by composer John McGinn, piano. Razzo Hall, Clark University, Worcester, MA. 28, 29 Soloist, The Concert Society Chamber Orchestra Holiday Concert.